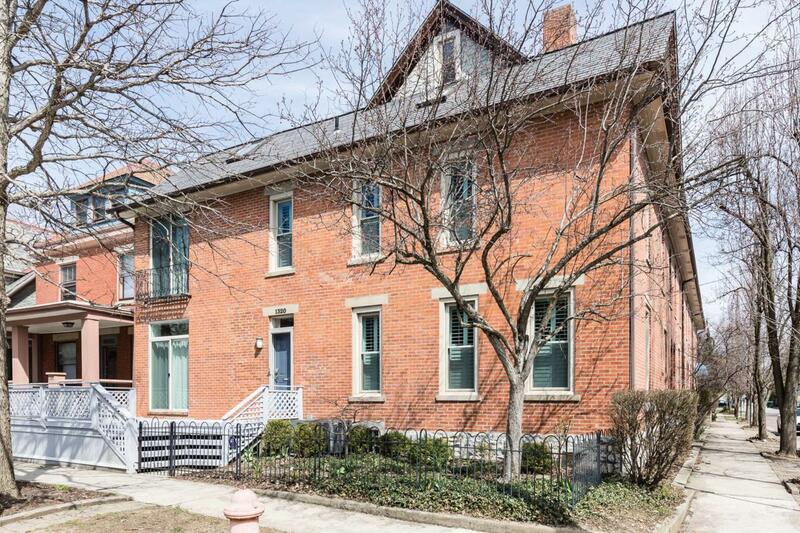 Fantastic updated condo in walking distance to Wexner Medical Center and the Short North. The 1st floor features a large eat-in kitchen w/ stainless appliances and granite counters. Large deck and fenced yard off the kitchen via new sliding doors. Original hardwood floors throughout this level. Open concept living and dining area w/ tall ceilings, new windows and new white custom wood shutters. 1st fl laundry hook-up in hall closet. Upstairs are 2 BR w/ Brazilian Hardwood Floors, large closets w/ organizers along the entire wall and 2 gorgeous modern bathrooms w/ tile floors and tile surround. The attic is finished and offers a full remodeled bathroom and bedroom/living area. New HVAC and water heater. New sump pump. New windows & sliding doors. Super quiet location! Priced to sell!